THIS PROGRAM COULDN'T MORE IMPORTANT THAN IT IS NOW CONSIDERING THE CHANGES IN THE HIMALAYAS, AS IS DOING IT WITH THE RIGHT PERSON. You becoming a climber - not just a client, is both yours and our responsibility. 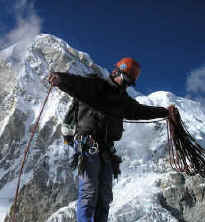 TRAIN FOR EVEREST or, for learning the ropes to climb any mountain big or small. There is no better place to train than in the Himalayas. 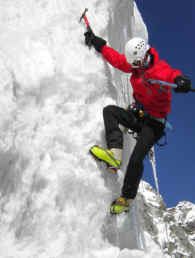 However, Everest Ice Fall or a high altitude 8000m or similar peak is not the place to learn to climb. 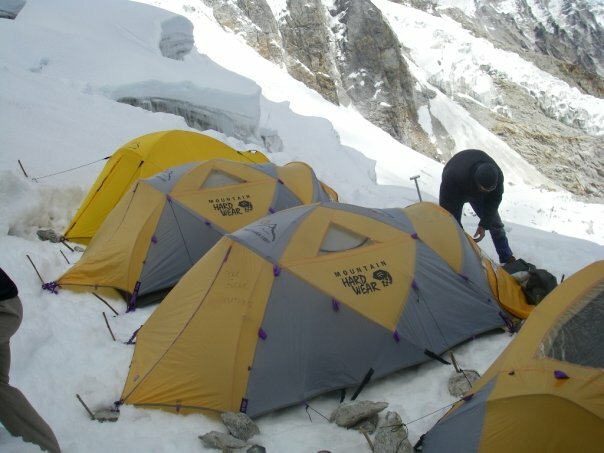 All members who aspired to climb Everest and participated in this program went on and summitted Everest the following season with 100% success. In 2016 four of our 12 participants from 2015' decided to climb Everest post training and were successful in both safety and summits maintaining our 100% record. During our THREE PEAKS expedition in Nepal we learn to rope up-tie in- and climb together on some of the most impressive mountains in the world. 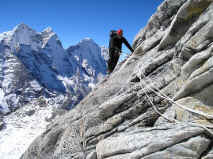 Test skills needed to become a self-reliant climber in preparation to climb big mountains, all while in the eyes of Everest. Many climbers are under the impression they have to climb an 8000m peak like Cho Oyu or peaks like Denali to learn how your body does at altitude. We believe that if your body has acclimatized to 6000m with success, it demonstrates your body has the ability to adjust , which is key. 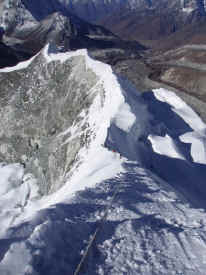 When on Everest there is plenty of time, (2-months), eventually everyone will adjust to the altitudes. 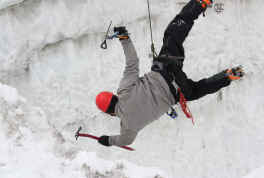 What's more important is your mountain awareness, skills and exposure. On the THREE PEAKS climb is much more than a high altitude walk. Safety should be the entire basis of a training climb and there is no better place to learn, or person to with than Tim Rippel-who climbs along side you and not just leading from base camp. He's a mountain Rescue examiner, altitude mountain guide/instructor and mountain safety, professional member of the Canadian Avalanche Association and Risk Management professional for over 30 years & 50 Himalayan expeditions. Fixing ropes and traveling on fixed lines. Building high altitude camps do's and don'ts. Boiling water at altitude, fuel and stove alterations for high altitude climbing. Food preparations, do's and don't of cooking and packing at altitude. AMS- Acute mountain sickness: Signs, symptoms and treatment. Safe travel on trails and routes with yaks and zomo's and including unique rules of the trail in Sherpa land. 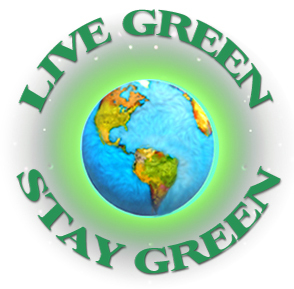 Permits, restrictions, environmental issues, procedures and waste disposal. Communications, language barriers, sat phones, hand radios. Religious considerations of the region. Expedition logistics, permits, liaisons etc. Ice-Fall doctors and their role on Everest. Fixing routes on the mountains. Negotiating summit bid time slots with other expeditions in the region and the importance of. In the best interest of personal safety, success and team compatibility, adequate training and physical conditioning is required. 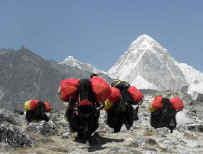 Prior climbing experience of carrying a heavy pack for multiple days serves as an excellent preparation for this course; Climbers must be able to carry an average of 15kg to 20kg. Good cardio will serve you well for attaining proper acclimatization in good time. 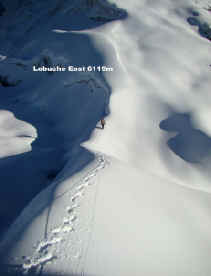 We feel our Everest Training climbs are the best there is. After taking this course one should feel mentally prepared and experience "WISE" for high altitude or any other mountaineering expedition or climb. For aspiring Everest climbers this serves as an excellent opportunity to meet your leader and Sherpas while focusing on the world's largest mountaineering objective "Mt. Everest" which will be standing directly in front of you the entire time. Visualization IS a powerful tool! On Everest, when your body is no longer working for you like it used to, it is your mind that will get you there and back down again safely. Participants who learn on Himalayan peaks have proven to be more successful on Everest.